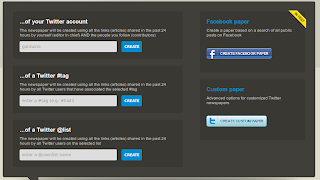 Paper.li is very useful application that is saving lot of time to me.
" 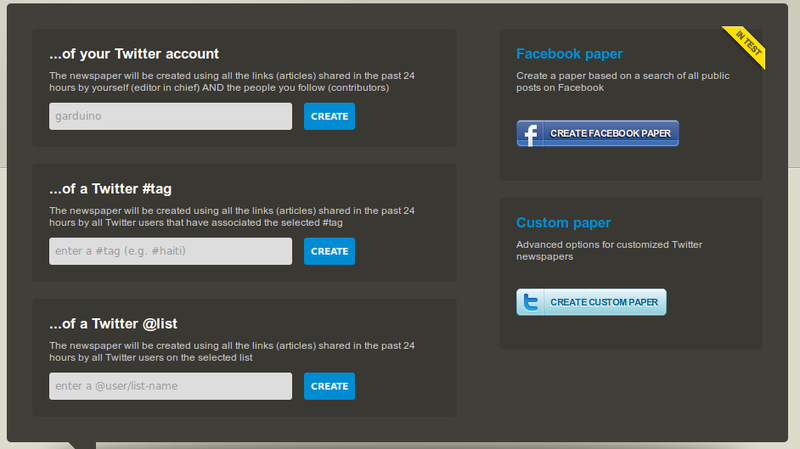 Paper.li organizes links shared on Twitter and Facebook into an easy to read newspaper-style format. A great way to discover content that matters to you - even if you are not connected 24/7! " And I would add, a great way of organize and group the lots of different information that a person may be interested in. Each newspaper may be scheduled to be updated and posted (or not) in Twitter at a selected time, with a determined frequency and with an specific title. And lastly, as a colateral effect, is a way to maintain your presence on Twitter in an unattended form! 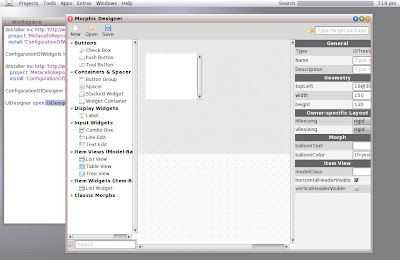 ¿Cómo instalar Morphic Designer en Squeak 4.2? Viendo como adaptar XMLRPC a Squeak es que bajé la última versión estable (4.2) para empezar a trabajar en el tema. Me sorprendió la velocidad de esta versión (la uso con Cog 2378) asi que no pude evitar ponerme a repasar algunos proyectos que no había podido revisar en profundidad y que me interesan. 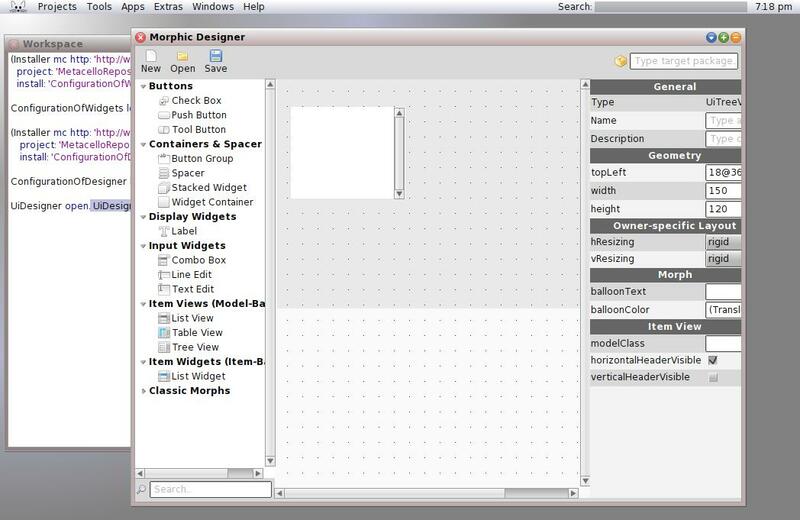 Asi retomé el Morphic Designer publicado hace algún tiempo por la gente del Hasso Platner Institute (Software Architecture Group) que me parece un proyecto interesantísimo y de gran utilidad.